Johnny's Disk record is an independent jazz label, run by the owner of jazz cafe Kaiunbashi No Johnny located in Rikuzentakata City in Iwate Prefecture, Japan. The legendary label released a string of albums of high-quality, but down-to-earth music, spanning from modern jazz, avant-garde jazz to left-field pop. Albums such as Farewell My Johnny / Left Alone (1980) and Aya's Samba (1978) have reached cult status among fans as some of the best works to come out of the Japanese jazz scene. The Japanese jazz classic, Aya's Samba, was a debut effort by bassist Eiji Nakayama, who played as part of Elvin Jones' Jazz Machine and toured with Don Friedman. This album is an important release in the Johnny's Disk catalog, not only because it is the first ever release, but also because the owner hearing the band play was the reason why the label came to be. 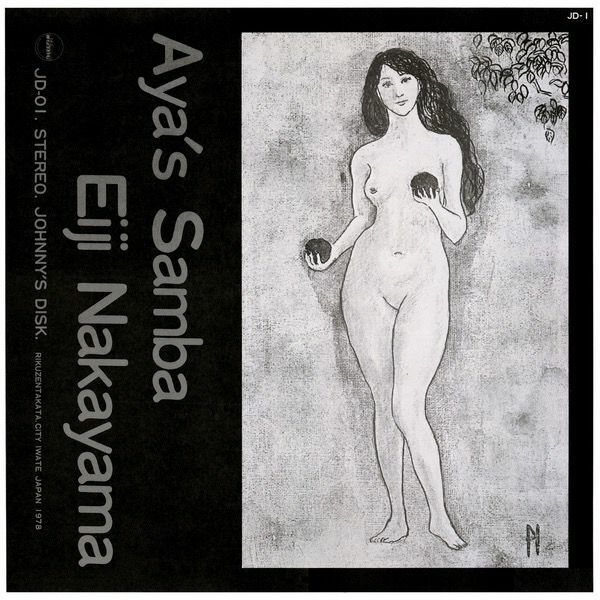 Aya's Samba is a mellow jazz samba in minor key that's considered a Japanese jazz classic. Slow ballad "Yellow Living" is drenched in melancholy with emotive keys and sax notes. Highly recommended!